Sleep experts agree—body pillows offer help for insomnia and sleep disturbance, and the CoolMax® body pillow's cool-touch technology keeps you from overheating while enjoying those deep, restorative zzzs. 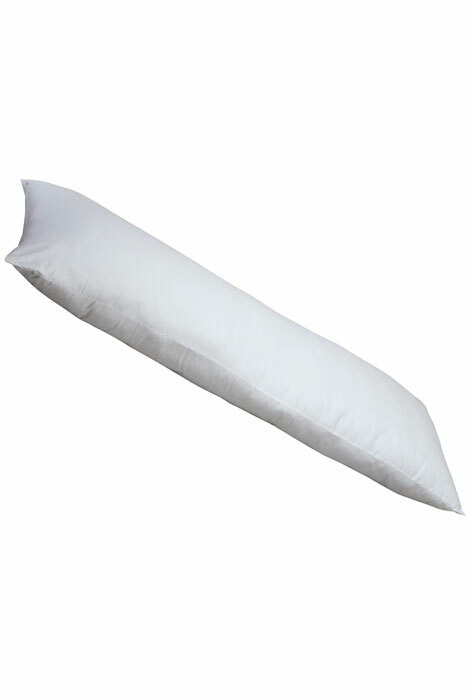 Allowing you to sleep in more therapeutic positions and supporting you comfortably so muscles can relax, our cooling body pillow’s breathable cover wicks away moisture to regulate your temperature, helping prevent sleep disruptions. Plump, hypoallergenic fill retains its soft, comfy loft. Polyester cover and fill; spot clean. 54" long x 20" wide. Made in USA. No express shipping. Allow 2–3 weeks for delivery. it was ok....got separated in the middle. To help my shoulders and thighs with support while I sleep. I was looking for a longer body pillow for my husband, he's 6'. I liked that it's suppose to keep you cool, and wick away sweat. My husband is a big hairy guy. So I'm hoping it does what it says it does! 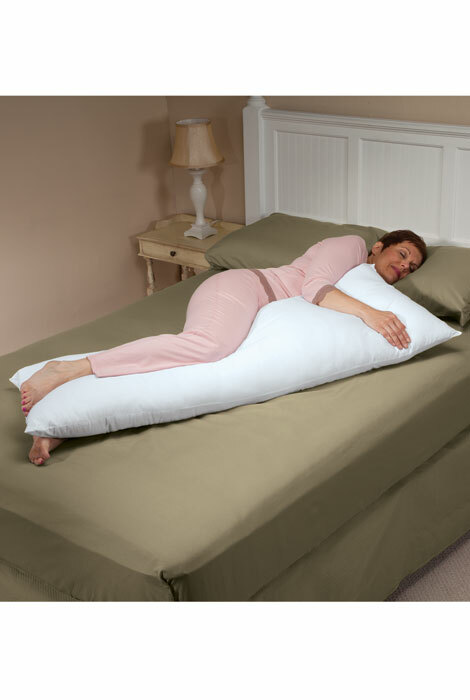 I have back problems and need the support of a body pillow to actually sleep. Can't wait to get this particular brand.